Without a doubt, learning how to do what you don't know — or even if you do know — but want to learn more, is the quickest way to be at the top of your beauty game, be it for personal enhancement or as a professional who wants to share it with others, here are my personal tips, thoughts, and ideas for beauty success. I invite you to add a little extra beauty to your life! It's easy to be beautiful...once you know the tricks! You want to look and feel beautiful, but as you struggle to manage your career, the kids, friends, exercising�and more, who has time? And if you're not a perfect "10" (which applies to all of us), you may not be sure how to fix your particular beauty dilemmas. If only you knew easy ways to be your beautiful best in a snap. Now you do! Why your smartphone might not be so smart for your skin. How sandpaper and a plastic pillbox can be your new BFF beauty tool. The answer to why your sudden skin breakout may very well be found in your laundry room. What to do before going to sleep to wake up without bed-head hair. Why your fragrance could be forever fading fast and how to make it last. 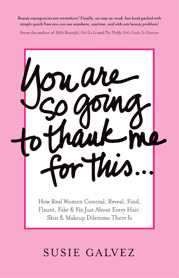 Unlike the traditional prim and proper beauty books, You Are So Going to Thank Me for This offers a modern voice with the tone of a pithy girlfriend who also happens to be an international beauty expert who tells it like it really is-what's good, what's bad, and what is downright ugly-like only a good and true friend would. Stock some of these videos in your spa today and make your client's "flawless fantasy" a tangible reality. Does your salon or spa need some inspiration? 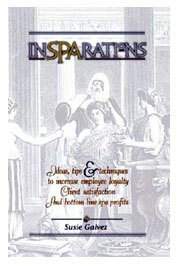 Check out InSPArations, a lively little how-to book created especially for salon/spa owners and managers. InSPArations has 187 simple ideas, quick tips and timely techniques that can easily be incorporated into your business and help you achieve greater client satisfaction, generate employee excitement and increase revenue potential. Find out specifically how you can . . .
InSPArations has already helped hundreds of spa and salon owners breathe new life into their businesses. Read on to learn what some people are saying about it. Don't miss this opportunity to inject YOUR spa or salon with a serious shot of inspiration! Get your copy of InSPArations today! In this exclusive and exciting video, you learn the latest in professional makeup application and most importantly — how to teach your clients to apply their own makeup flawlessly, each and every time! 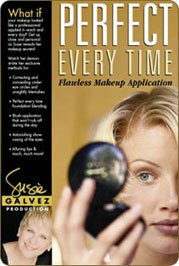 The makeup lesson contains 14 easy to understand steps designed to help you increase your makeup sales — and to help your client achieve makeup application confidence. Learn how to instruct, validate, and encourage your client to look her best each and every day — not just on spa day! 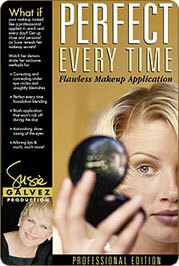 See how to accentuate her best features, using products that you sell. Discover how to make sure your client 'gets it' so that you get a client for a lifetime.